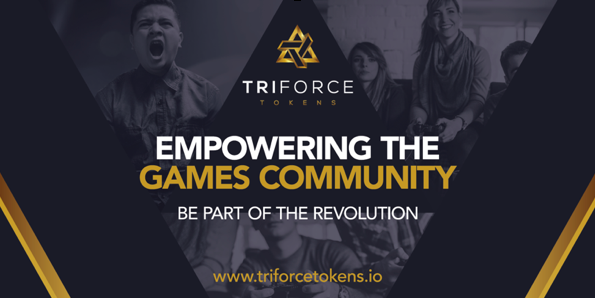 TriForce Tokens www.triforcetokens.io is proud to be featured in the popular game – Second Life, as part of its in-game cryptocurrency information center. Triforce Tokens is also on the verge of releasing its mobile app known as RaidParty. The launch is scheduled for February 20, 2018. 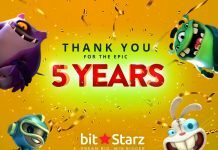 With the backing of Coventry University and Innovate the UK, Blockchain gaming Technology Company, TriForce Tokens continues to forge ahead with its goal of creating a Blockchain-based digital ecosystem for the online gaming community, with the date for its next token sale finalized and its new mobile gaming app, RaidParty close to completion. Triforce Tokens has also recently renamed their acronym from TFT to FORCE token. The team development team is working tirelessly to refine the platform’s profile, putting considerable efforts into marketing and promotions to ensure the platform gains prominence and make as many people as possible aware of the Triforce Tokens. Triforce Token has a mission to lead the revolution of the multi-billion dollar online games industry through the innovative use of Blockchain technology. Second Life has now included an information stand inside its virtual Cryptocurrency Information Center. With this, quite a vast number of Second Life users can now learn about Triforce Tokens, FORCE Tokens, and their decentralized digital gaming ecosystem. Also, Triforce Tokens has established a strategic partnership with premier marketing consultancy Look Touch and Feel. Triforce Tokens in collaboration with Look Touch and Feel will make the token sale gain massive publicity. The Triforce Tokens PR team is also working tirelessly providing all needed expertise to place FORCE Tokens on many top-tier online media outlets. With several private investors expressing interest, Triforce Tokens is also working hard towards establishing new strategic partnerships that will move the platform forward. Triforce Tokens is actively developing its RaidParty mobile application, due for a beta release shortly before the next token sale. The mobile app will be embedded in the Triforce Tokens Blockchain network, enabling gamers, developers and streamers to socially engage and honor each other through a rewards system. More details are coming soon. Triforce Tokens will launch its next token sale event on February 20, 2018. The token sale will run for two weeks. It will end on March 6, 2018. A total of 1.5 billion FORCE tokens are up for grabs at a price of 1 ETH = 6,000 FORCE, with a soft cap of 1,600 ETH. There is a 25% discount on the first 1% of supply. Early birds will gain more bonuses. A final main token sale event will be announced in February 2018. FORCE tokens will be immediately released to contributors at the end of the main token sale. This will coincide with the new listing of FORCE on several participating exchanges platforms, allowing token holders to trade their FORCE tokens at the end of the Crowdsale. FORCE tokens will be the native currency powering payments and rewards on the decentralized gaming ecosystem. Triforce Tokens has the ambition to become the first fully-compliant UK ICO and is working on ISO27001 certification and General Data Protection Regulations (GDPR) compliance. Triforce Tokens is a full member of the Games and Publishers Network, TIGA, whose principal aim is to strengthen games development and digital publishing. 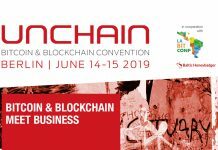 It is also a corporate member of Swiss-based Crypto Valley Association. Triforce Tokens is Also in partnership with Coventry University Enterprises LTD for corporate and business cooperation, while initiating an IP audit with the UK government’s innovative UK for its technology and brand. Triforce Tokens vision of a decentralized platform addresses the prohibitive barriers of market entry, particularly for independent developers. 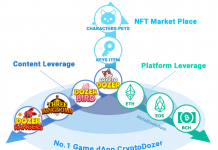 The platform will offer developers a way to rapidly deploy many features any platform, and any game, such as tournaments, P2P trading, and peer ranking. Instead of replacing existing revenue models, Triforce tokens will expand on unexplored streams, with a harmonizing ecosystem of digital wealth across all platforms. Players can use Triforce tokens to trade with others or earn them as rewards for competitions. Developers can compensate players with FORCE tokens for completing tasks and charge their fees for P2P transactions. The Triforce Tokens project is built on a high level of transparency and will build ethical communities, where a unique honor system will recognize players for collaborating and assisting others. To ensure player retention, Triforce tokens also assists developers with providing novel gaming experiences, using big data crunching and behavioral analysis to provide deed player insights. Triforce tokens built on Blockchain technology promises an authentication network to help developers minimize piracy concerns, while also allowing them to extract some revenue from pirated content.